For today, I debated between Wallace Stevens and Mark Strand and while I've read both of their work quite a bit over the last five years, I decided to go with Mark Strand since his poems have appealed to me at an emotional level more than Stevens's poems. I'll probably keep reading Wallace Stevens poems all my life (bought his Collected Poems at a used book store last year) but for today, Strand it is. Here are a few of the many poems by Mark Strand that I have loved and saved away for later reading and re-reading. Hope you enjoy them as much as I do. stars gather, dreams pour into your pillows. “It’s time. The air is ready. The sky has an opening. I could go on and on as I love so many of his poems but I have to stop at my self-set maximum of 5 poems. I recommend you get some of his books on poetry to savor (and eat) his poetry - I especially love The Continuous Life and Dark Harbor but all his books of poems are great and so you could just start with New Selected Poems (2009) or Selected Poems (1990), which I found to be little easier to find at public libraries than the former two I mentioned here. 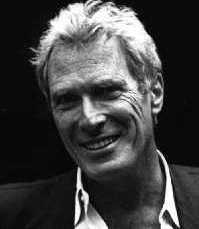 "Mark Strand confronts the infinite, which sometimes returns his gaze."